For those of you who are not familiar with the word; Pescetarian is a vegetarian who will eat fish. I baked fish, steamed fish, barbecued fish and trust me, as complicated as it seems, fish is one of the quickest meals to prepare. ONE, It’s healthy (this one goes for you babe). TWO, impressive if you have friends over. THREE, delicious! 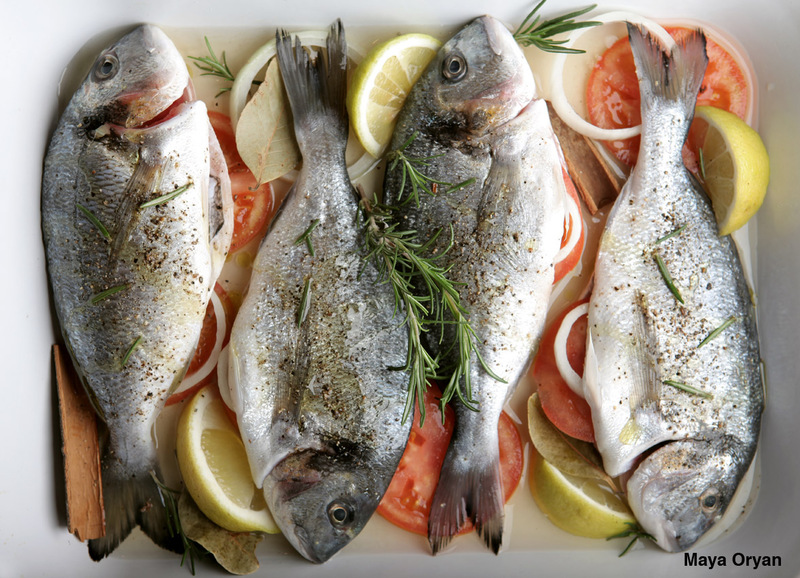 One of my favorite kinds of fish is the SEA BREAM, because of their mild and white meat. It can be found in various parts of the world and is ideal for grilling. One of these fish weighs around 350gms and can be grilled whole, head and all. For me it’s enough to rub my fish with salt and pepper, and then stuff it with sliced onions and tomatoes. Lay it in a baking pan with lemon wedges and bay leaves, drizzle it with oil, and cook for 35mn. Tasty! Wash fish, pat dry and place in oven dish. Liberally sprinkle salt and pepper over all parts of the fish and inside the body cavity. Top with onions, tomatoes, rosemary and surround with lemon, bay leaves and cinnamon. Drizzle with olive oil. 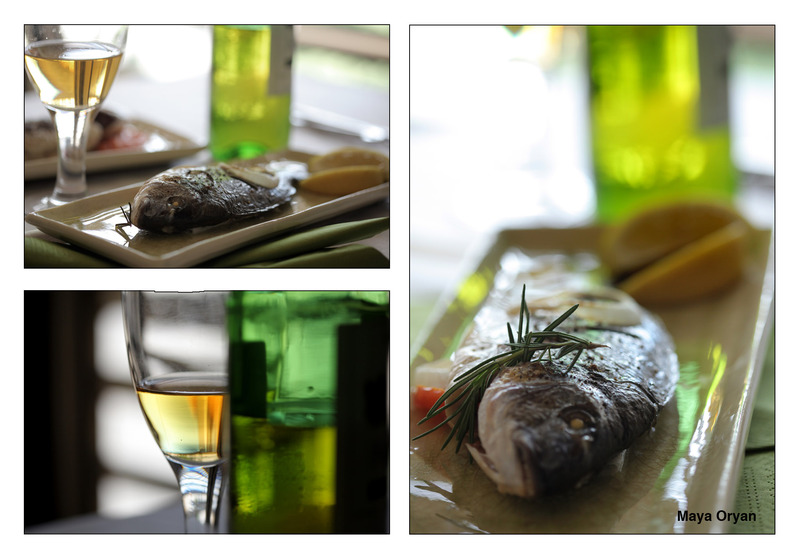 Pour the wine inside the pan and cook for about 45mn or until fish flakes easily with a fork. 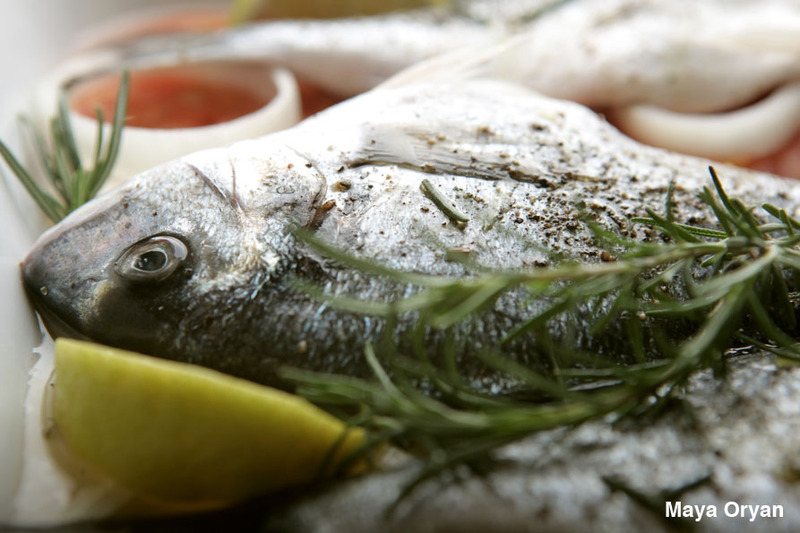 This entry was posted in Main Course, Recipes and tagged baked fish, Fish, food photography, Food Stylist, healthy food, lebanese food blogger, Maya Oryan, middle eastern food, olive oil, sea bream by Maya Oryan. Bookmark the permalink. Maya, Can we make special requests? there are lots of yours meals I am thinking about. ABSOLUTELY!! I just asked for a special request and trust me it is yummmyy! !